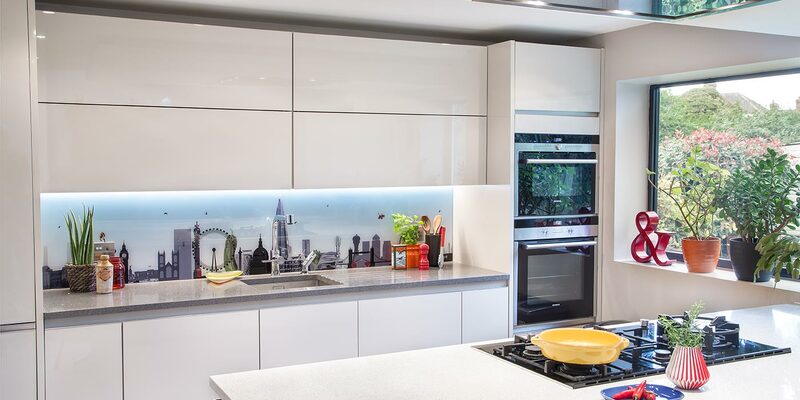 The London with a Twist shows our creative humour with this bespoke kitchen splashback idea. Why not include some extra ideas of your own. One of our clients asked for Thor, Iron-man and the Hulk. What would you add to your bespoke kitchen splashback? We can change colours to suit your space and taste; not sure what you would add to personalise the artwork? Just drop us a line and we can talk through some ideas. Glartique’s award winning artist Ashley Phillips will work directly with you on your bespoke kitchen splashback; we don’t just create functional solutions we create works of Art.